Asian stocks ended on a muted note on Wednesday as worries about global economic growth and uncertainty over U.S.-China trade talks kept investors on the sidelines. Underlying sentiment remained cautious after media reports suggested that the U.S. has rejected China?s offer to hold a preparatory meeting in Washington ahead of next week?s high-level trade talks. China’s Shanghai Composite Index closed just above the unchanged line amid hopes that increased Chinese spending would stem an economic slowdown. Hong Kong’s Hang Seng Index also finished marginally higher. 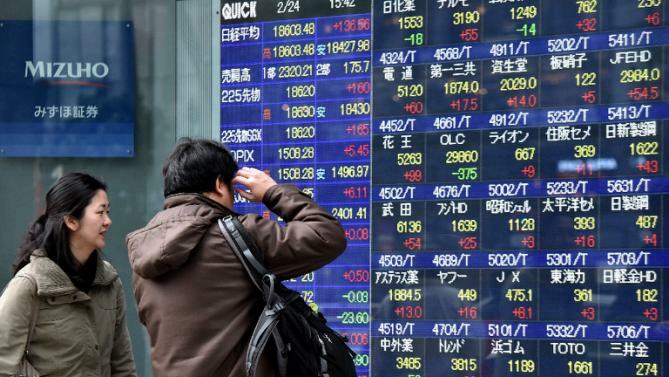 Meanwhile, Japanese shares fluctuated before finishing slightly lower as export data fell short of expectations and the Bank of Japan kept monetary policy steady, as widely expected, and cut its price projections. The Nikkei 225 Index dipped 29.19 points or 0.1 percent to 20,593.72, while the broader Topix closed 0.6 percent lower at 1,547.03. The Bank of Japan kept its monetary policy unchanged today but downgraded the inflation forecast for this year primarily due to sharp drop in oil prices. The central bank said it would conduct purchases of Japanese government bonds in a flexible manner so that the outstanding amount will increase at an annual pace of about 80 trillion yen. Sony ended little changed amid reports that it is moving its European headquarters to the Netherlands from the U.K. to continue business as usual and avoid disruptions due to Brexit. Automaker Subaru tumbled 3.4 percent. The company halted output at its car factory in Japan, which accounts for about 60 percent of its global production, due to a defect in a component procured from a supplier. Australian stocks also edged lower as global growth concerns pulled down material stocks. The benchmark S&P/ASX 200 Index dropped 15.10 points or 0.3 percent to 5,843.70, while the broader All Ordinaries Index ended down 15.60 points or 0.3 percent at 5,908.70. Mining and energy stocks fell on concerns over slowing global growth, reflecting signs of weakness in Europe and a long-running trade war between the world’s two largest economies. Mining heavyweights BHP and Rio Tinto slid around half a percent, and energy stocks Woodside Petroleum, Oil Search, Origin Energy and Santos fell over 1 percent. Retirement fund manager Challenger plunged more than 17 percent after it reported a 97 percent drop in interim profit and lowered its full-year outlook. IOOF Holdings slumped 8.2 percent after the company repaid super fund members following an accidental sale of assets in 2015.